The Seine river and Orly, Paris airport at the start of 2018. Photo: Iceye. Iceye has announced a partnership with the European Space Agency (ESA) to mutually explore opportunities provided by Iceye’s technology. The cooperation encompasses activities that focus on the design of Iceye’s microsatellite and its X-band Synthetic Aperture Radar (SAR) instrument, as well as identifying the most promising applications for the data collected by such a microsatellite constellation. According to Iceye, its Earth Observation (EO) data benefits both researchers and a wide range of commercial industries. Challenging issues such as natural disaster response and climate change research, oil spill and illegal fishing detection all require repeated and timely imaging, regardless of the weather conditions or time of day. “The collaboration with Iceye in this endeavor is helping us move distinct steps closer to our goals as we explore the potential in the NewSpace industry,” said ESA’s Director of Earth Observation Josef Aschbacher. ICEYE recently announced collaborations with two other European entities, Kongsberg Satellite Service (KSAT) and Aker Arctic, to collect and provide SAR data for maritime and ice monitoring. Iceye remains on track to launch its next two SAR-enabled satellites, Iceye X2 and Iceye X3, later this year. 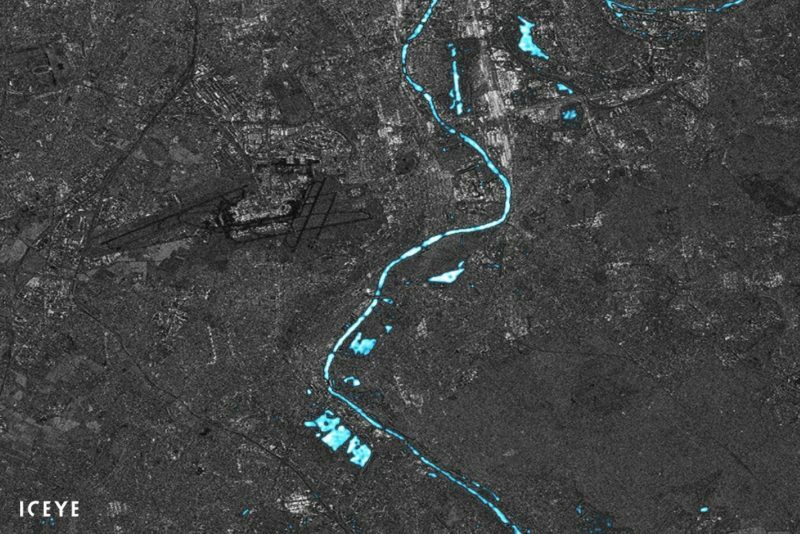 Its first satellite, Iceye X1, published its first image on Jan. 15.